A question about ADC use. It works good first time I call it in the main(), but any subsequent call to this function return always the same value as the first reading, till reset of the MCU. First, tell us which AVR model you are using, and its clock speed. Next, do you realize that the first conversion after starting up the ADC probably does not give a "good" value? Generally, one would start up the ADC once, and run a dummy conversion. Then call the read routine as desired. All that said, nothing jumps out at me from the posted code. Using Atmega1284RFR2 clocked at 16MHz (External oscillator used for RF module). Strangely here, only the first reading is correct, I checked and it match the applied voltage on channel 0 pin. But if I modify this volage, subsequent call to this function will return same value as first one ! How long, after turning on an internal reference does it take the reference to stabilize? Do you have an external cap on the AREF pin, if so how what size? Do you think this will require some time to charge? Does turning the ADC on/off have any effect on this? This does not "set" anything, it clears all bits of ADCSRB. Why are you disabling the ADC? This is almost never done. As Lee said, the first reading after enabling the ADC is not reliable. Usually one has a function to set up the ADC which is called at the start of the program, and a separate function that does a conversion and returns a value. The ADC in the ATmegaxxxxRF family is a bit different. Startup time is managed internally and is somewhat more sophisticated than with other AVR. ADCSRC has the bits ADSUT[4:0] which configures the startup-time of the ADC. The OP has configured a startup time of 88 us. I'll agree that it's unusual for the ADC to be disabled after every conversion, but this could be useful in cases where the ADC is relatively infrequently, such as to check the voltage of a battery. Furthermore, changes to the REF bits are ignored until the ADC is disabled and re-enabled again so the use of more than one reference in an app requires that the ADC be disabled between conversions using different references. It's unclear why the OP is doing it here. The ADC in the ATmegaxxxxRF family is a bit different ... and is somewhat more sophisticated than with other AVR. Indeed. Another very useful feature is "stretching" of the sample-and-hold time. I wish all AVR8 had that. That's one way. However since the ADC 'aperture' is open (i.e. the selected ADC channel is connected to the S/H cap) so long as the ADC is enabled via ADEN, you can control the sample time simply by waiting before initiating a conversion with ADSC (or arranging an appropriate interval via ADATE and ADTS[2:0]). The aperture closes at the moment of the hold (1.5 ADC clock cycles after the conversion is initiated [2 cycles when using ADATE]), and opens again at the end of every conversion. If you're using free-running mode, then of course you have no option to lengthen the sample time. A new conversion will be initiated 1.5 ADC clock cycles after the end of the previous one, so the aperture will remain open only 1.5 cycles during each 13 cycle conversion. The OP is referring to the two-step access to the MUX bits. It still does not change the fact that he is writing to the entire register, not just one bit. ... I can't see how this is related to the problem. Indeed; the posted fragment looks OK. I guess we'll need to see the calling sequence--perhaps some conditional logic? Indeed, I deleted everything else in my code and the value is updated properly if I call this function every second and do nothing else. I would approach this issue two ways. First, I would try to separate the ADC initialisation from the reading. 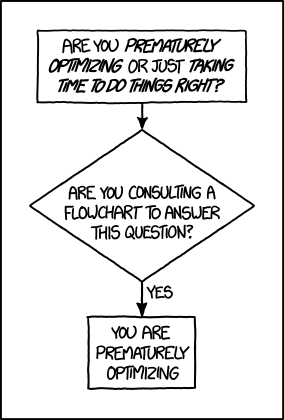 Second, if the above runs perfectly if you call it every second then what happens if you call it every half second, quarter second etc..
Then I would also check how many times the while and do/while loops are looping - it might be falling through 'too quickly' for whatever reason. So the problem wasn't in the routine at all but in the code calling the routine. I have to ask, why are you creating a 10bit value in the routine and then splitting it outside the routine? Also why bother with ADCH and ADCL separately anyway? As your very first code showed you just use "ADC" and the compiler sorts out the access order and amalgamation of the two 8bit values anyway. Anyway I don't think any of the irregularities pointed out was the reason of the problem. As I understand, problem arised when accessing ADCH and ADCL when outside of the function. Maybe because ADC was disabled don't know. It is likely to have been due to how/where you declared your variables. When you cut out most of your code they were being preserved rather than overwritten. Just a guess of course.